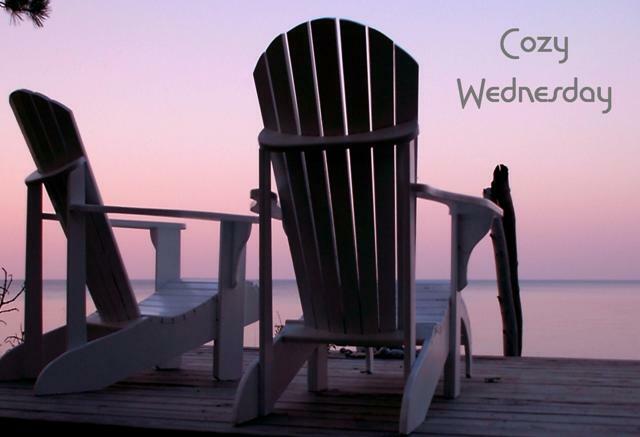 Cozy Wednesday with Cleo Coyle – Author of Dead to the Last Drop #Giveaway too! I am so excited to have Cleo here today to tel you all about her new book! 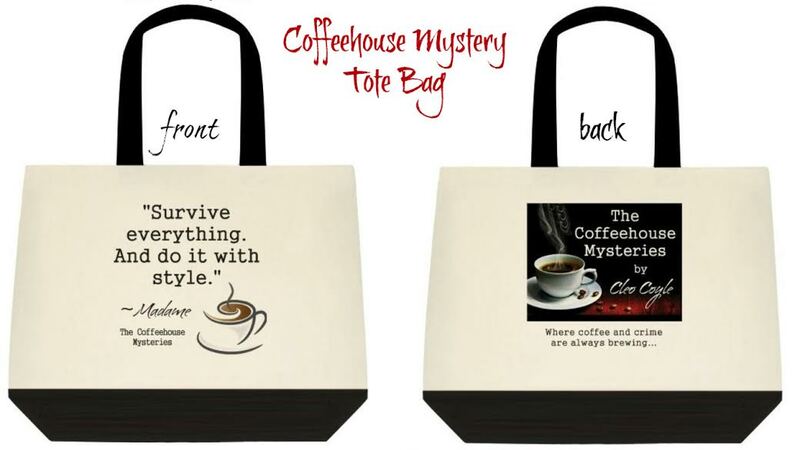 Coffeehouse Mystery sleuth Clare Cosi #Giveaway, too! A divorced, single mom in her forties, Clare Cosi is a coffeehouse manager by day, a relentless snoop by night. 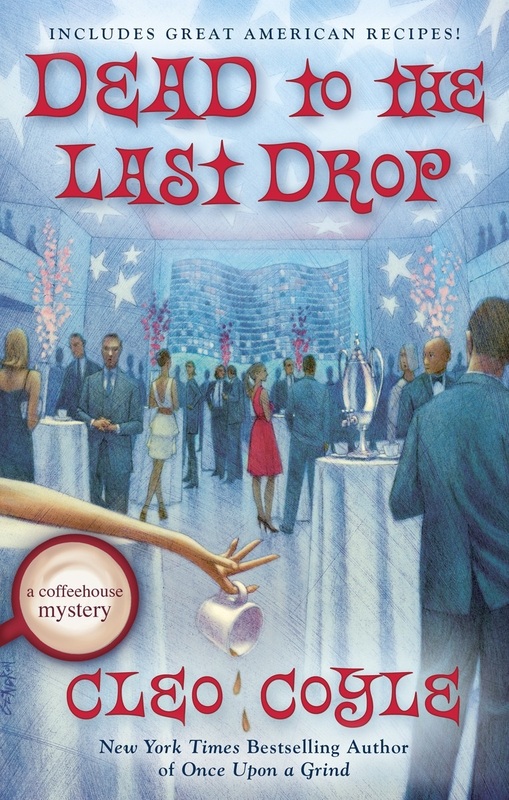 Dead to the Last Drop marks her 15th adventure, and Marc and I are excited about taking her to our nation’s capital to solve a capital case—one that involves the disappearance of the President’s college-age daughter and the death of a suspicious State Department employee. If you’re a newcomer to our series, you should have no trouble reading our latest mystery as a stand-alone book. Mike’s story and Clare’s intertwine, putting them both on the run as they attempt to find the President’s daughter, solve a puzzling murder, and remove themselves from two most-wanted lists. The plot is an exciting escape in itself, but so is the setting. Many of the twists and turns were inspired by my own past experiences while living, studying, and working in Washington. Clare makes two trips to this grand destination, one at the request of the First Lady, who shares a private lunch with her in the Diplomatic Reception Room, a magnificent oval-shaped space famously redecorated by Jacqueline Kennedy and historically used by President Franklin D. Roosevelt for his fireside chats. This picturesque Washington neighborhood boasts some of the finest examples of Federal period architecture in the country. Thomas Jefferson, Alexander Graham Bell, and John F. Kennedy are among the neighborhood’s past residents. 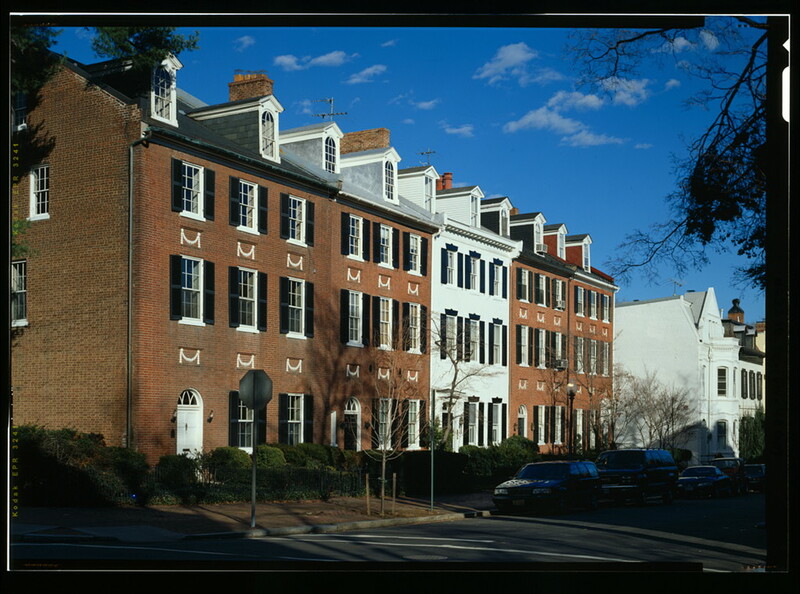 As for our amateur sleuth, Clare lands a posh housesitting gig on “Cox’s Row” in a charming Georgetown mansion rumored to be part of the Underground Railroad. A glittering black-tie party brings Clare to “America’s Attic,” the beloved nickname of our favorite Smithsonian museum, The National Museum of American History. 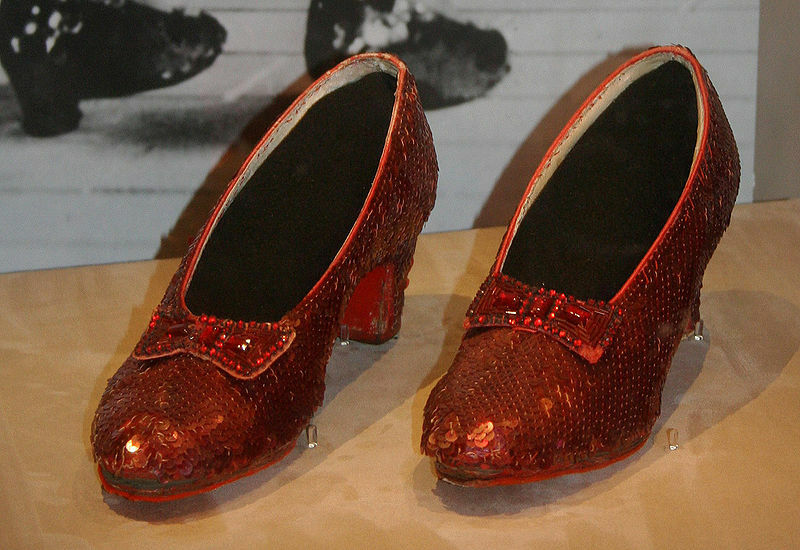 That’s the scene depicted on the cover of Dead to the Last Drop, where Clare witnesses a fateful meeting in front of Dorothy’s famous ruby slippers from The Wizard of Oz, one of many fascinating exhibits that celebrate American culture, creativity, and cuisine. Yes, cuisine! As a master roaster and expert on the bean, Clare is even asked to contribute her ideas to one of the museum’s temporary exhibits, Coffee and the Presidency. While this location in our mystery may be fictional, it’s based on an actual, legendary jazz club in DC called Blues Alley. The delectable menu of our fictional Jazz Space becomes an important plot point in Dead to the Last Drop. Check out the book’s appendix for more than 25 delicious recipes, including an outstanding version of Black Magic Cake with a chocolate frosting to die for. 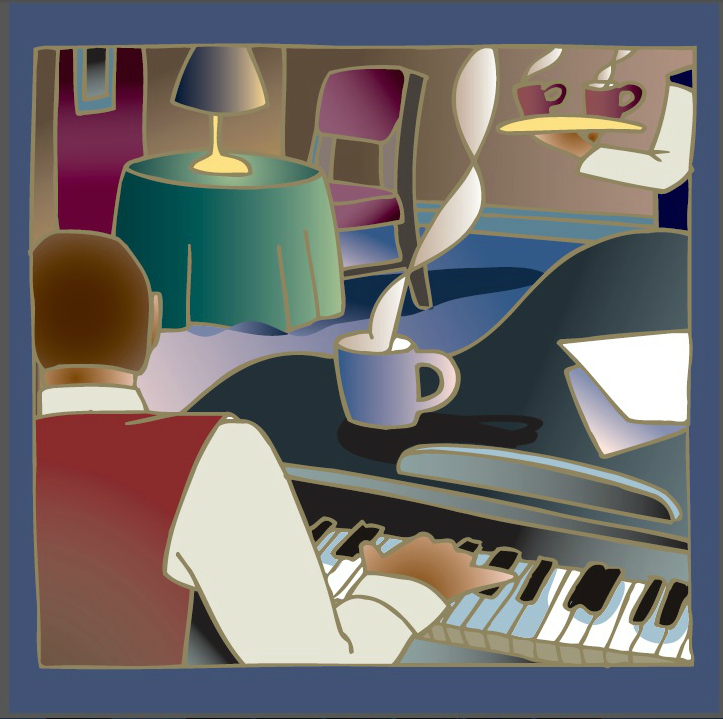 And watch for the opening of our virtual Jazz Space on the web. There are many more fascinating locations in Dead to the Last Drop. Marc and I sincerely hope you will pick up the book for a great escape! Thanks for dropping by today and thanks especially to Dollycas for being such a kind hostess. May you read (and eat) with joy! Clare’s visit to the nation’s capital is off to a graceful start. Her octogenarian employer is bunking with her in a charming Georgetown mansion, and she’s invited to work with a respected curator on the Smithsonian’s culinary salute to coffee in America. Unfortunately, Clare’s new Village Blend DC is struggling to earn a profit–until its second floor jazz club attracts a high-profile fan, the college-age daughter of the U.S. President. Clare’s stock rises as the First Lady befriends her, but she soon learns a stark lesson: Washington can be murder. This book is amazing to the last word! Clare Cosi, Master Roaster Extraordinaire, has come to Washington D.C. to get Village Blend DC up on it’s feet. She struggles to get control of the kitchen from a chef with a very high opinion of himself and tries to find a way for the jazz club portion to make a profit. Enter a college student who plays like a dream. When Clare finds out the young lady is the daughter of the President she knows there may be an issue with her continuing to play at Village Blend but she never imagined the way things would spiral out of her control. Brew a full pot of coffee and be prepared for an all-nighter when you start reading Dead to the Last Drop . Cleo Coyle has written her best book yet and that is saying a lot because every story in this series is excellent. Clare takes us all over DC, The White House, The Smithsonian, a beautiful mansion in Georgetown. She also travels around some less noteworthy parts of the area as she tries to solve the mysteries that have surrounded her. This story is jam-packed with drama, action, and mayhem. It all happens at a pretty fast pace too. Intermixed with all the havoc is wonderful food and music. I could almost hear the band, smell the coffee and taste the glorious food. Clare’s boyfriend, Detective Mike Quinn, is still working with the FBI in Washington. This is a good thing because they both need each other as things start to get crazy. Employees from New York come down to help with a major event and that includes Clare’s ex, Matt. 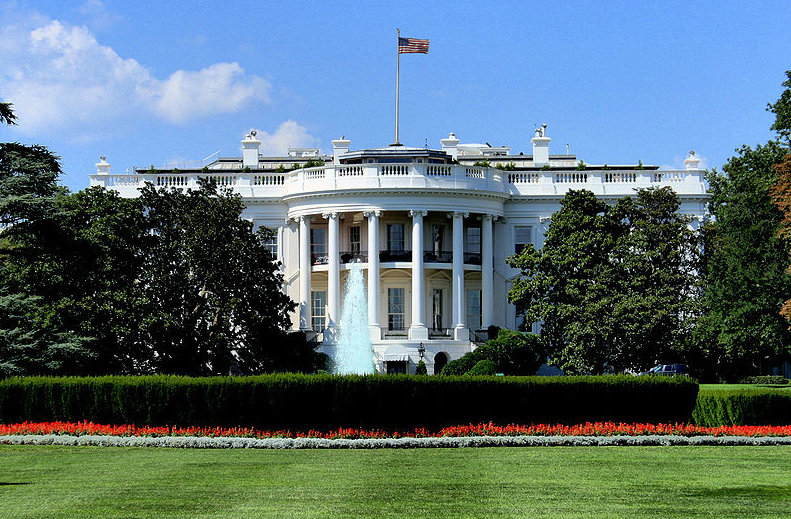 We also meet some Washington elite, the First Family, and some of the White House staff. Again these characters leap off the pages. If you are new to the series it is not too late to jump in, each story contains enough detail that will get you up to speed in no time. If you are already a fan you are probably waiting very impatiently for your pre-ordered copy to arrive. December 1 will be here soon. I will also add a book is a great holiday gift idea, coffee/cozy mystery buffs will love this story. This story has earned my Paradise rating. Its contents are truly off the charts! Cleo Coyle is a pseudonym for Alice Alfonsi, writing in collaboration with her husband, Marc Cerasini. Both are New York Times bestselling authors of the Coffeehouse Mysteries, now celebrating over ten years in print. Alice has worked as a journalist in Washington, DC, and New York, and has written young adult and children’s books. A former magazine editor, Marc has authored espionage thrillers and nonfiction for adults and children. Alice and Marc are also bestselling media tie-in writers who have penned properties for Lucasfilm, NBC, Fox, Disney, Imagine, and MGM. 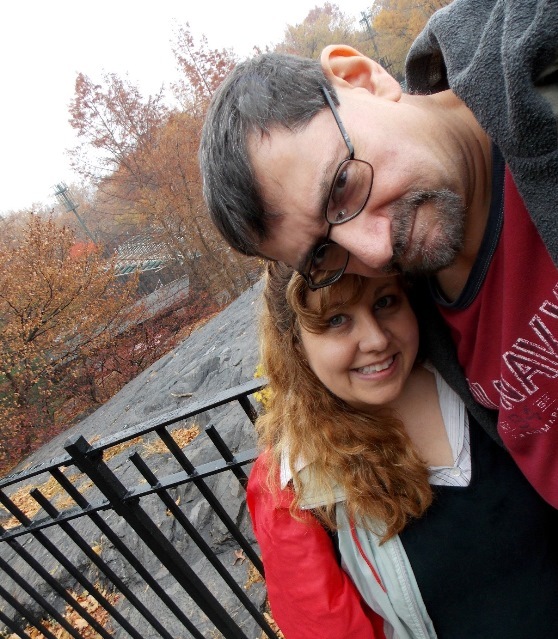 They live and work in New York City, where they write independently and together, including the national bestselling Haunted Bookshop Mysteries. CLEO’S NEWSLETTER: Contests, recipes, news, fun facts and videos. To sign up, simply write an e-mail that says “sign me up” and send it to CoffeehouseMystery@gmail(dot)com You will receive a reply with links to past newsletters that include free recipes. 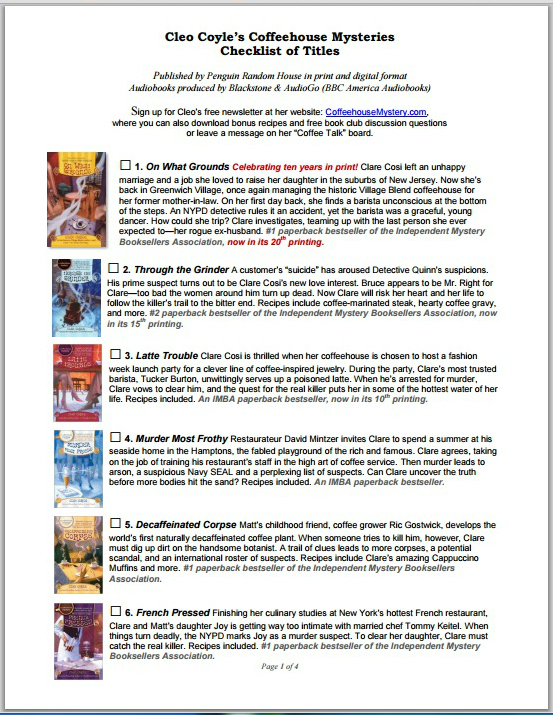 TITLE CHECKLIST: Get a free title checklist with mini summaries of all 15 Coffeehouse Mysteries. To download the list as a free PDF, click here. I also have 2 Hardcover copies to give away thanks to the people at Penguin! Leave a comment for Cleo for 5 Bonus Entries. Posted by Dollycas at 12:01 AM	Tagged with: Berkley Prime Crime, Cleo Coyle, cozy mystery, Paradise Rating, Washington D.C. Sounds intriguing! Thanks for sharing! Dead to the Last Drop sounds like an amazing read! Thank you for the giveaway. Love the checklist! What a great idea for long running series. Love the contest and am eagerly awaiting the book. This is such a great series and this newest one promises exciting twists. Can’t wait to read it. This book looks really good. I love that there is a checklist for all of the titles in the series because now I’m curious about the other books as well. Can’t wait to read your new book. Sounds like a good read for the winter. Thanks for the great giveaway. It sounds like a book I would really enjoy. Congratulations on the new book and the series! Thank you for this opportunity. This would be an awesome win! Cleo/Alice always does such beautiful posts and this series is wonderful. Congratulations, on #15! Congratulations! What a wonderful feature and giveaway. Many thanks. Add your name to my list of must reads. Looking forward to reading your books. So excited for this next one in the series! 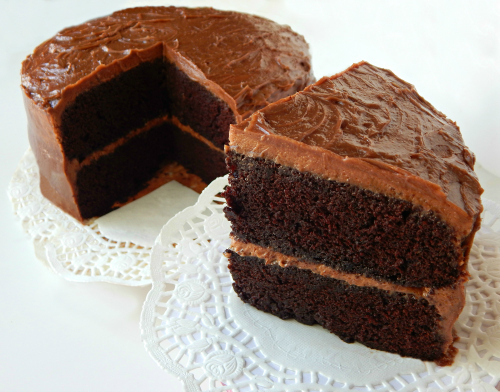 Your books sound good, along with a good dark cup of coffee and a slice of that chocolate cake!! Thanks for the opportunity!!! LOVE this series!!!!!! Thanks for a chance to win. These books just get better and better, and the posts are always fascinating. What a great giveaway, thanks! Oh boy. A new cozy series and so many fun ones! I LOVE THIS SERIES!! It helped to renew my passion for coffee. I got my French press out of the cupboard, went back to grinding beans, and spending delicious hours reading and drinking. Thanks for all the work you do. Coffeehouse Mysteries is my favorite series. I’ve been collecting this series since the very first one. Can’t wait to read this! Yay! Yay! Yay! Looking forward to reading this one! Also thank you for the great chance to win a copy! I’m sure this is where I first met you Cleo (well, virtually met). Then I went into Powells and saw your books. Then I bought some, read them, and was hooked. Great to see you here again. Of course, I didn’t win the first time around, so I don’t suppose I will now either. But Powells is still there. I love this series! Thank you for this chance! I love Cleo Coyle and her Coffehouse Mysteries!! I am currently reading Once Upon a Grind and then I will be all caught up just in time for this latest installment! Cleo and I share so much in common. I was born snd raised near Pittsburgh, PA…have also lived in Michigan…and now I’m in NY. Upstate, not NYC, but still love the city! Thanks for this giveaway! The Coffeehouse books have to be my favorite books of all-time. Can’t wait til I get the new one. I also want to read the Bookshop series, but our library doesn’t seem to have them–so gotta wait until I can order them—Please keep writing the Coffeehouse books!!! That cake looks to die for! So excited about this one! The DC setting sounds like an interesting change. I look forward to reading it. Cleo, This is one of my all time favorite series. I can’t wait to read it! I love the photos around Washington DC and the Smithsonian. I haven’t been back there since 1980. I always enjoyed visiting there. Oh this sounds like just the thing to get me going for the holidays. I can take a breather after turkey say, read Claire Cosi’s latest (and sound like the GREATEST) adventure yet. I do t know HOW I wait so long between books. I also don’t know HOW the authors write such wonderful, new every time, stiries. But thank you Santa AND Cleo Coyle! Thank you so much for the pdf of your books, Cleo! I have not read many of the series so I am so glad this one can stand on its own! Your pdf list will help me a lot when I go to a bookstore again. And the book sounds so good! Thanks, Lori, for your review! I enjoy it when book locations are inspired by real locations. I have not read any in this series but want to because I believe mysteries and coffee houses just go together. Thanks Cleo and Lori for the giveaway! Cheers and happy Wednesday. Congrats on the upcoming release of Dead to the Last Drop! Since this is a new series for me, I found the Coffeehouse Mysteries checklist very helpful. Thanks for the great giveaway. Love this series, I have all of them so far except for this last one of course 🙂 can’t wait to read this one after i reread all the other ones first. Wonderful giveaway, thank you for the chance! I can not wait for this next read! what are your young adult novels titles? I love the Coffeehouse Mysteries. Cannot wait to get caught up with this new book! I am always waiting for the next one! I love coffee because of this series! Looking forward to reading your book. Sounds interesting. I love the Coffeehouse Mysteries. I’ve read all of them and try to wait patiently for each new release. Can’t wait to read this new one. Thanks for sharing this review! I’m always excited to read a new Cleo Coyle cozy! This one should be really different, taking place in Washington, DC. Thank you for the giveaway! Can’t wait to read this book! Thanks for the great giveaway!